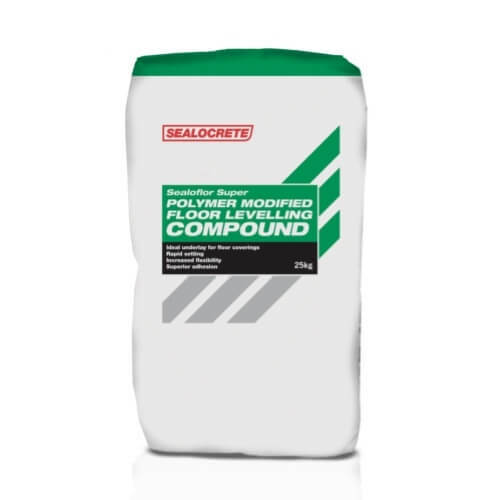 Sealocrete Sealoflor Super is a polymer modified self-levelling underlayment that can be used on internal concrete sub-floors and cement/sand screeds as a base for floor coverings. Suitable for use with underfloor heating. For internal and external use.